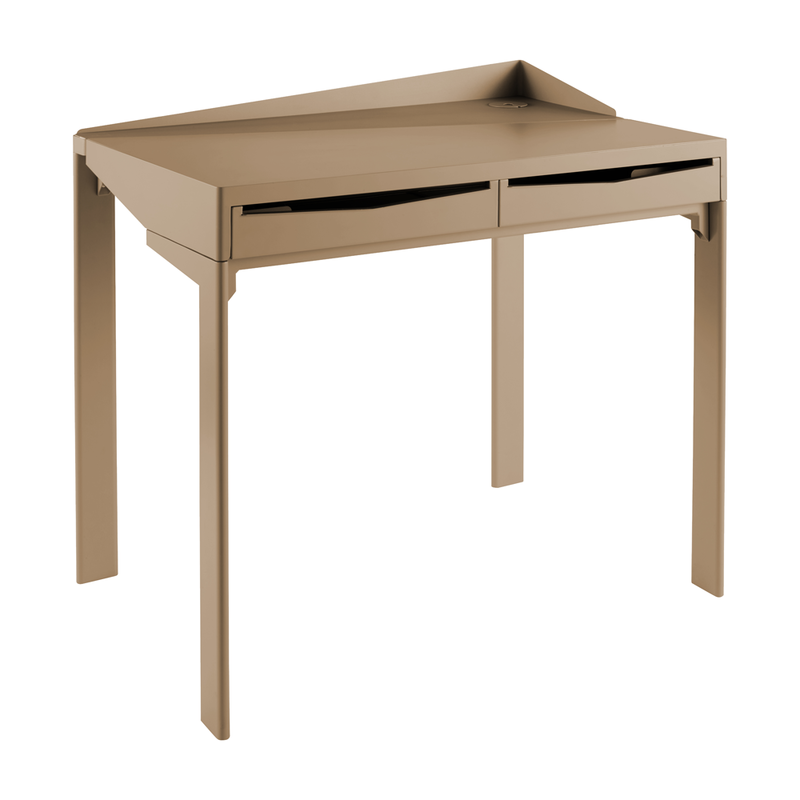 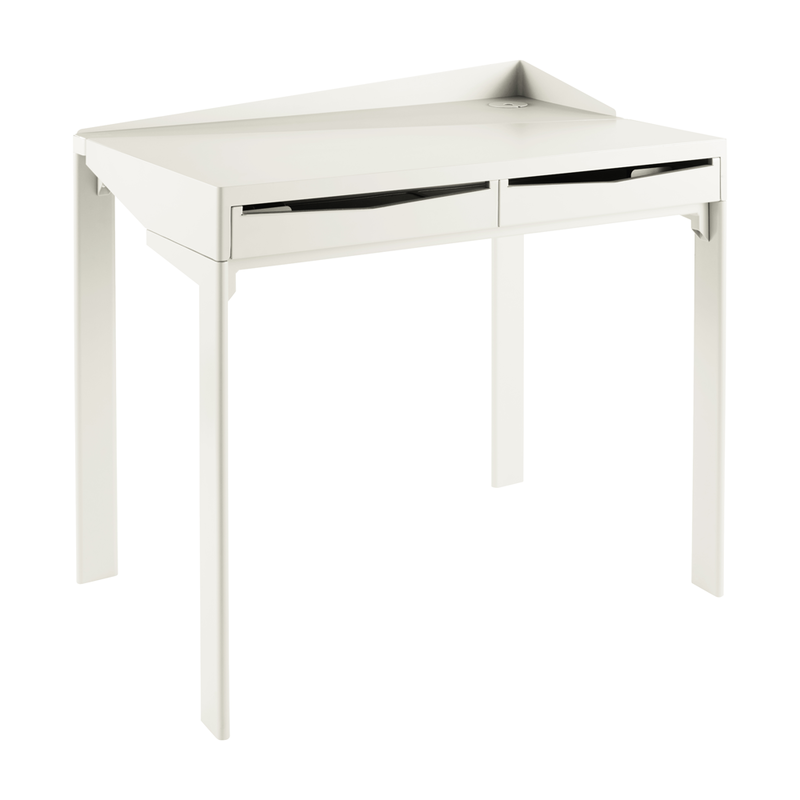 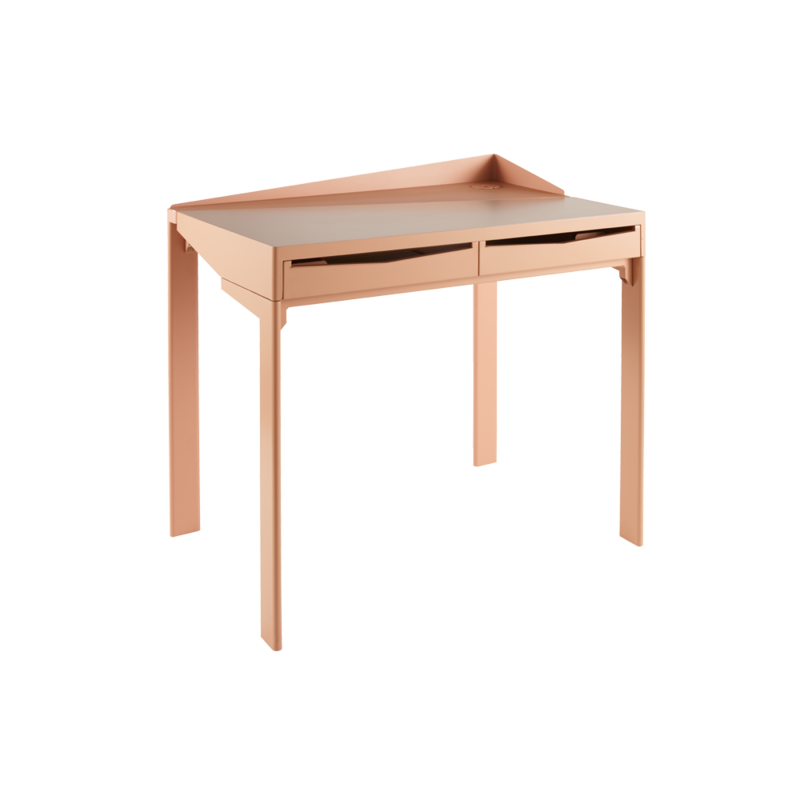 The desk in the Pierre range is composed of two modules. The rear module has a cable hole tidy. 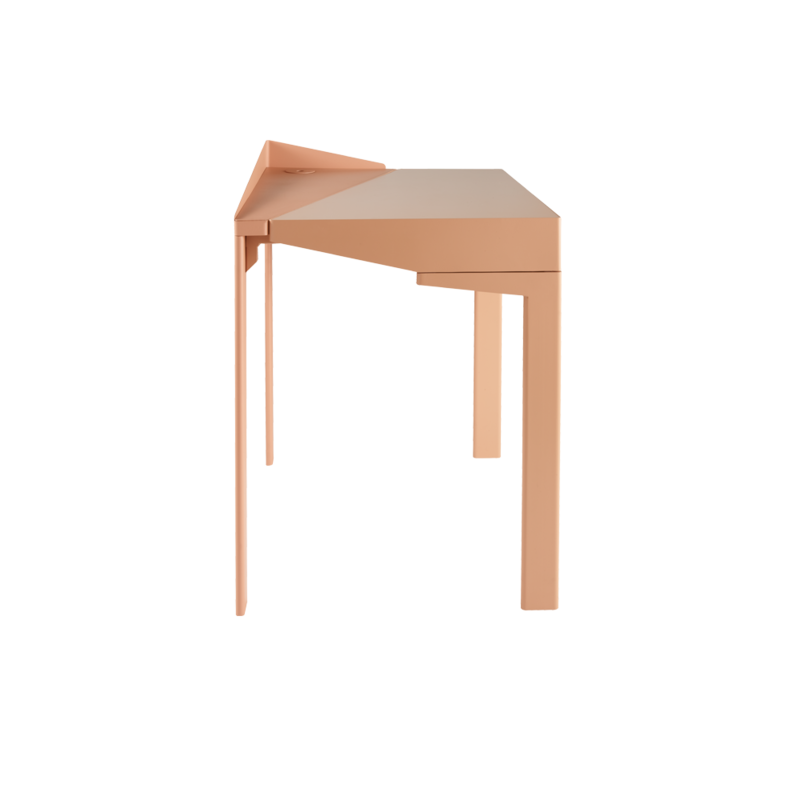 The contrasting textures catch the light in interesting ways and are pleasing to the touch. 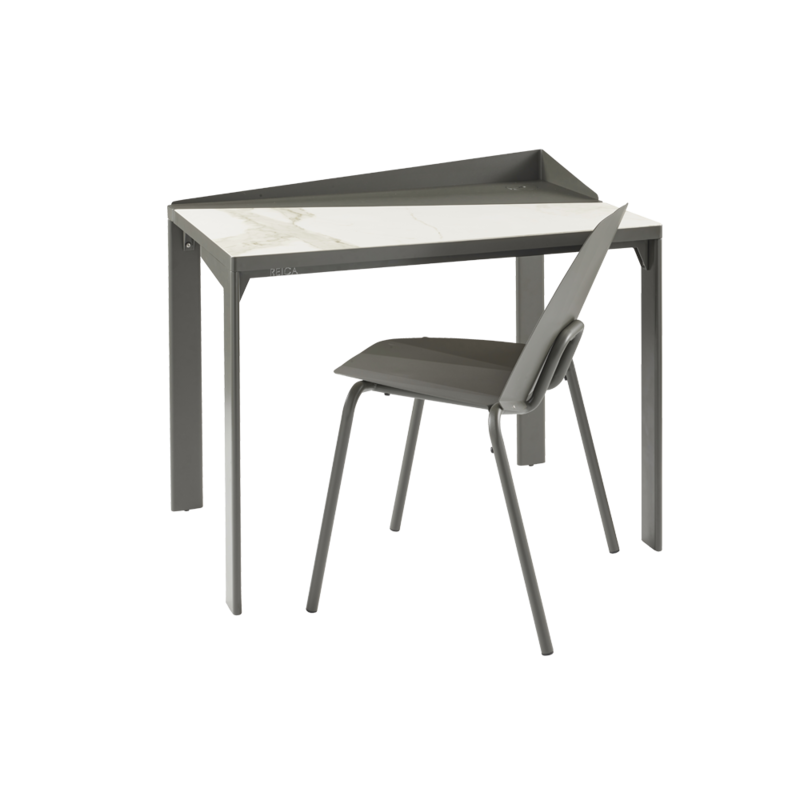 The upper part can be customized by adding a ceramic top with marble effect, a sand coloured rubber top or a natural oak top to the front module. 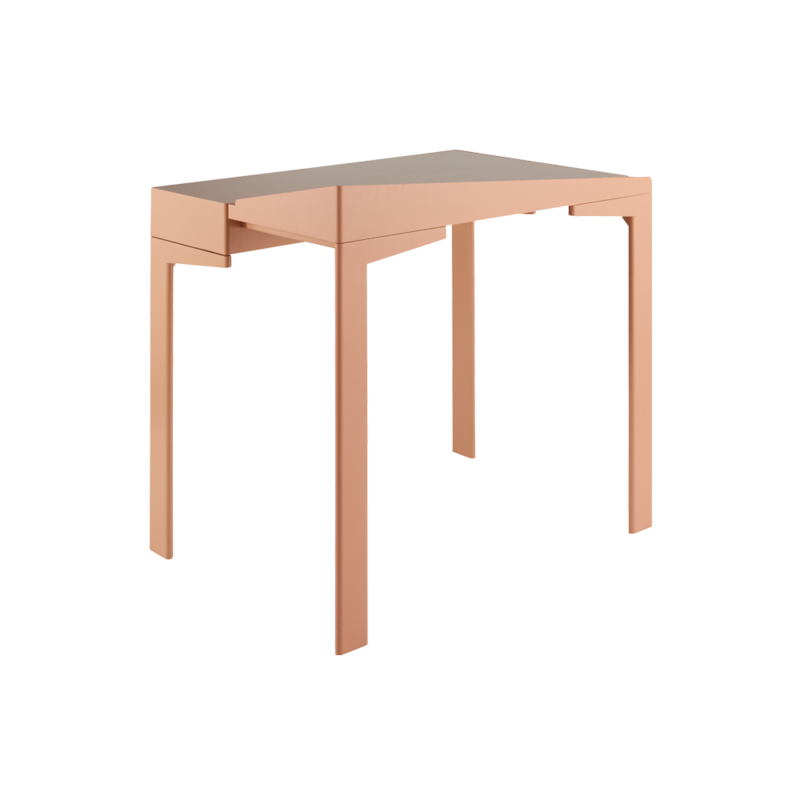 Lacquered steel frame. 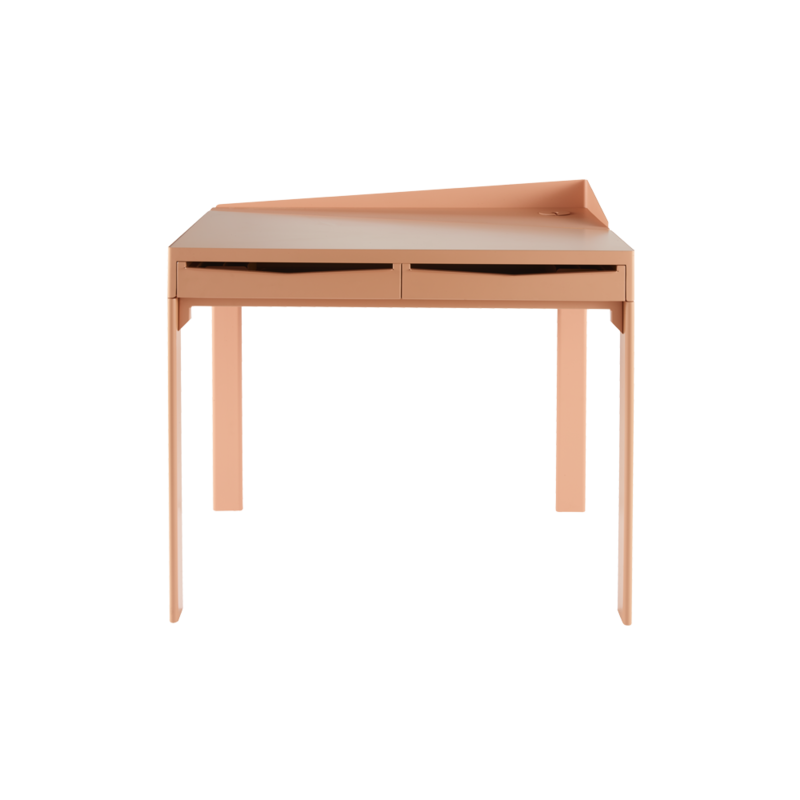 The desk also comes with a large drawer containing two pencil trays coordinated with the frame and a sand coloured rubber lining.